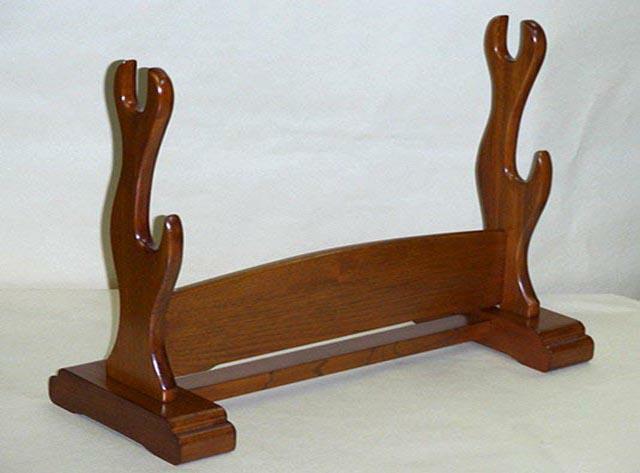 This double swordstand is made of oil finished, hand-rubbed, Japanese Keyaki wood, a wood which is highly prized by the makers of fine furniture. The stand is 13.80 inches (35 cm) tall and 16.14 inches (41 cm) wide, with a 1.10 inches (2.8 cm) openings for two katana, two wakizashi or a daisho. The stand can be disassembled if necessary.